How do I view captions in a video as an instructor? Some videos within Canvas may contain closed-captioned files. You can view the captions in the closed-captioning menu. 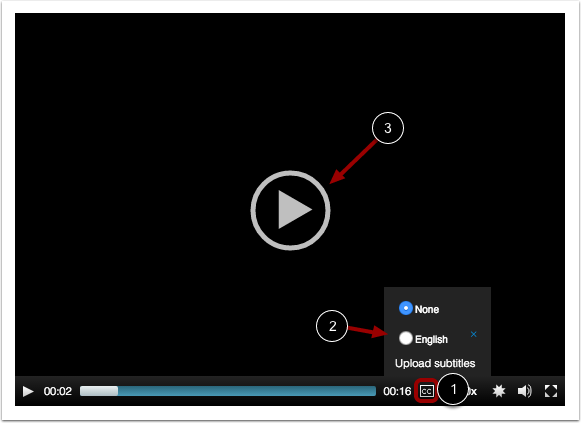 Note: If you view a video in the Canvas by Instructure app, iOS devices can display captions created with WebVTT files. If you cannot view video captions in an iOS device, the caption type is not supported. Click the video. The video will enlarge on your screen. 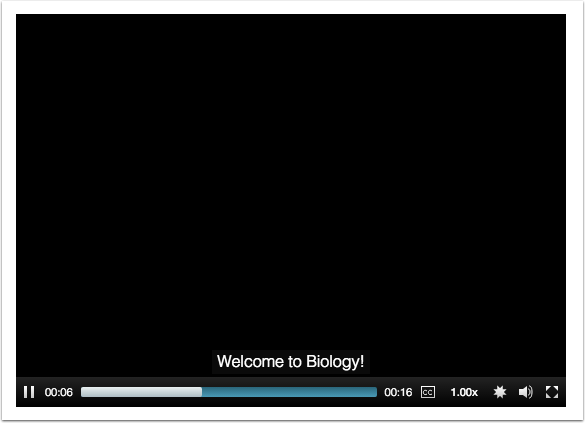 To view the captions in your video, hover over the closed caption icon . By default, videos are closed captioned and will always be set to None. Click the radio button next to your subtitle language . Click the Play button . View the subtitles in your video. Previous Topic:How do I create a caption file using the subtitle creation tool as an instructor? Next Topic:How do I manage rubrics in a course? Table of Contents > Rich Content Editor > How do I view captions in a video as an instructor?